This semester, the Paul Wise Executive in Residence Speaker Series will invite leading professionals in the hospitality industry to the University of Delaware campus. The group comes from a wide range of backgrounds, from Dogfish Head’s founder and president to Hilton’s vice president of global workforce initiatives. All events, hosted by UD’s Department of Hospitality Business Management, will be held in room 115 of Purnell Hall, and are open to all UD faculty, staff and students. For more information, contact UD hospitality business administrator Donna Laws. 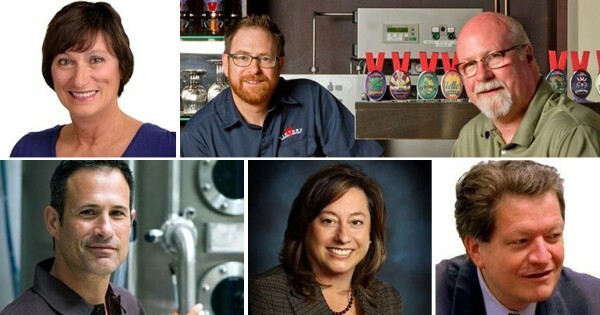 Thursday, Sept. 28: Bill Covaleski, co-founder and brewmaster of Victory Brewing, 2:00 p.m.
Thursday, Oct. 19: various UD alumni for the hospitality department’s Alumni Back in the Classroom event, 2:00 p.m.
Thursday, Oct. 26: Linda Parkowski, deputy director of the Delaware Division of Small Business, Development and Tourism, 3:30 p.m.
Thursday, Nov. 9: Kimo Kippen, vice president of global workforce initiatives for Hilton, 3:30 p.m.
Thursday, Nov. 30: Sam Calagione, founder and president of Dogfish Head, 3:30 p.m.
Thursday, Dec. 7: Paula L. Kelly, general manager of Merion Golf Club, 3:30 p.m.